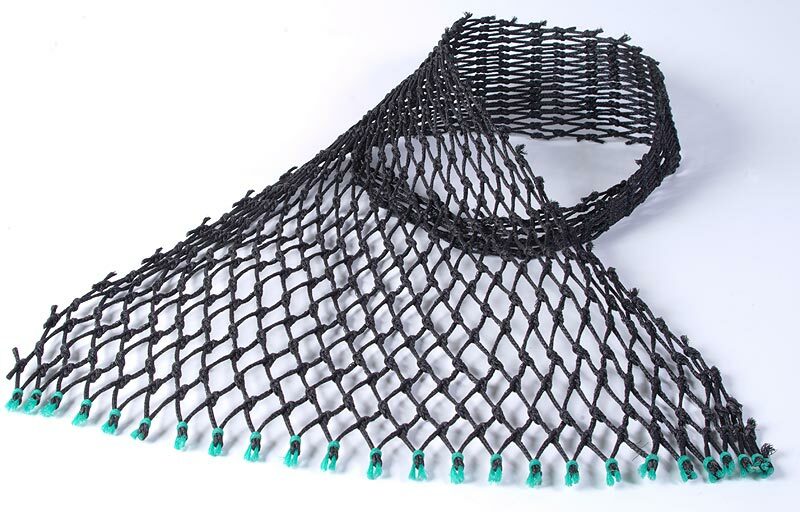 With many years’ experience in fishing net supply and manufacture we have become the UK’s leading supplier of rigged nets, fishing equipment, tools and protective clothing to both the UK and worldwide fishing fleets, and we pride ourselves on our expertise in serving this sector as well as our fast, friendly and efficient service. 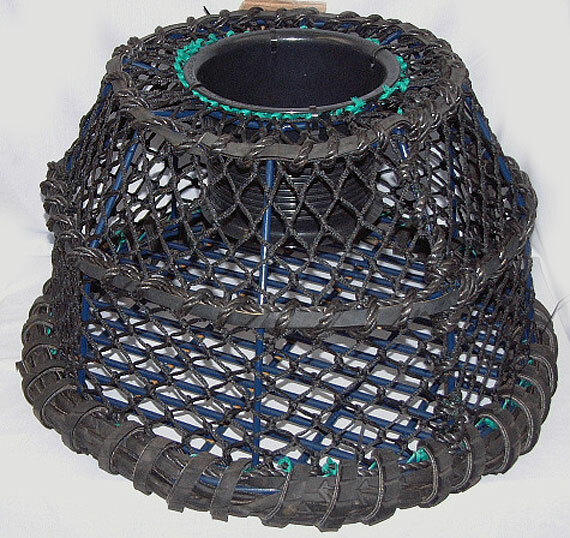 Below are a selection of the crab pots, lobster pots, prawn, cuttlefish and crayfish pots, together with associated components, that we manufacture and supply. Inkwell shape with a top entry of 8″ or 10″ diameter. 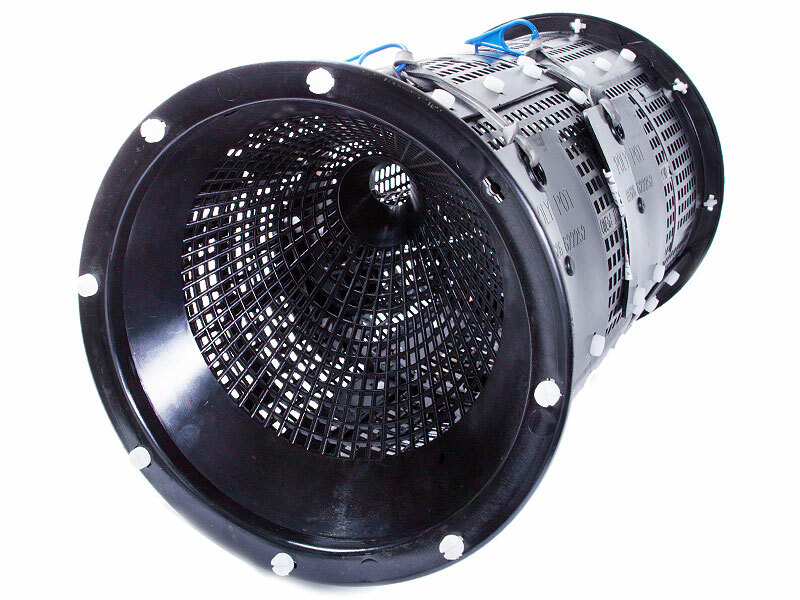 Sizes from 24″ to 30″ diameter, using 8mm or 10mm diameter steel bar. All steel is black plastic coated for durability. 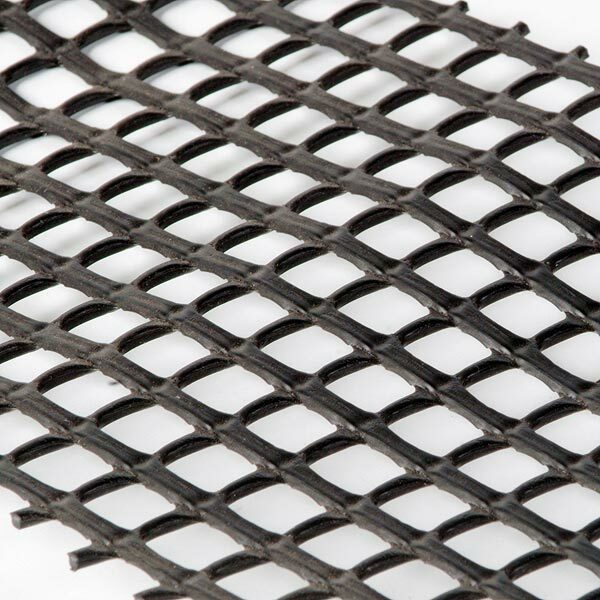 The black poly netting cover can be single or double thickness, and the pot can be supplied fully rubbered and roped, ready for use. 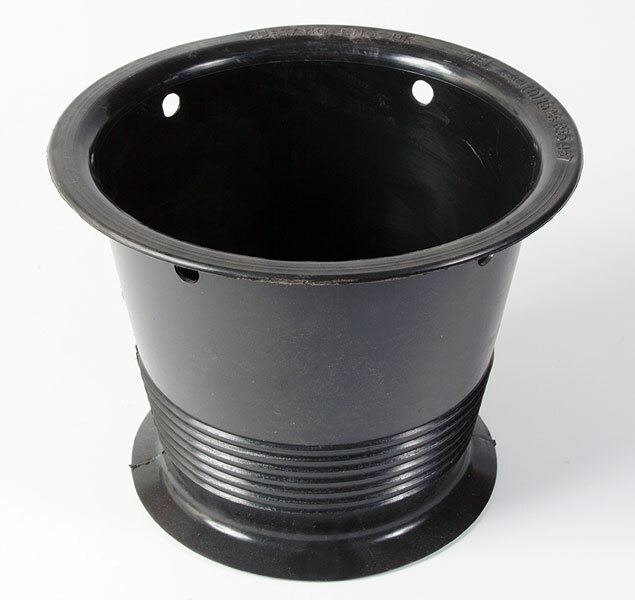 We keep 26″ diameter pots in stock as these are the most popular. Comes with a top or side entry; fitted with a parlour if required. Sizes from 26″ x 18″ to 22″ x 36″. Plastic coated steel of 8mm or 10mm. Double or single netted, and fully rubbered and roped ready for use. The most popular size is 26″ x 16″ x 14″ shown here. Tubular shape with entry at both ends. Complete with bait tube. 70cm long x 40mm diameter. 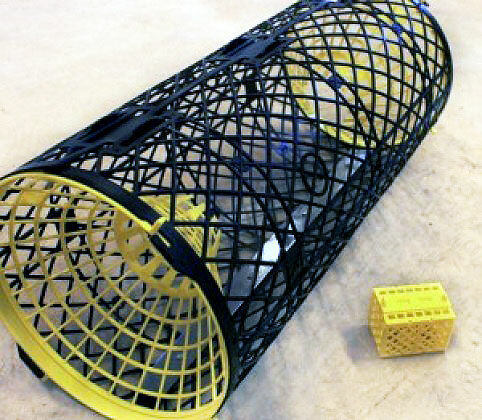 Our barrel-shaped crayfish pots are supplied in flat pack form for self-assembly. 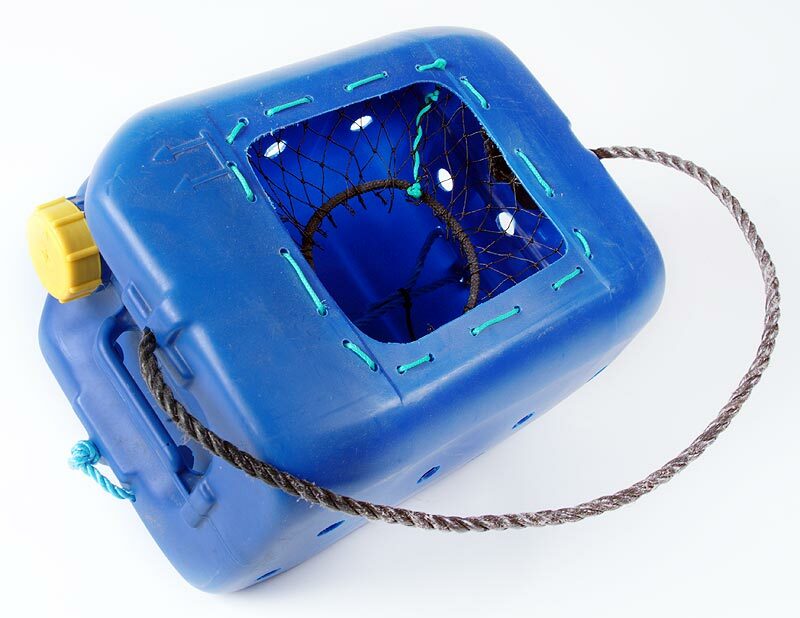 Folding Pot with bait box. Stackable for easy transportation. Ready to fish. No Assemby required. Sold per piece or boxes of 10. For Freshwater Crayfish. Not for Marine use. 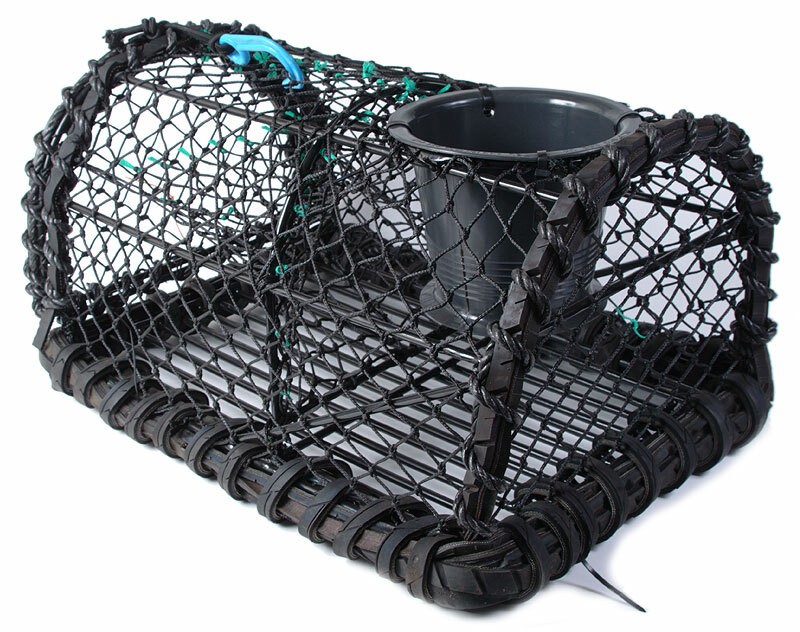 Excellent commercial-grade crab pot. Features a soft eye entry. Bait bag included. 2 frame sizes available (24″, 26″). 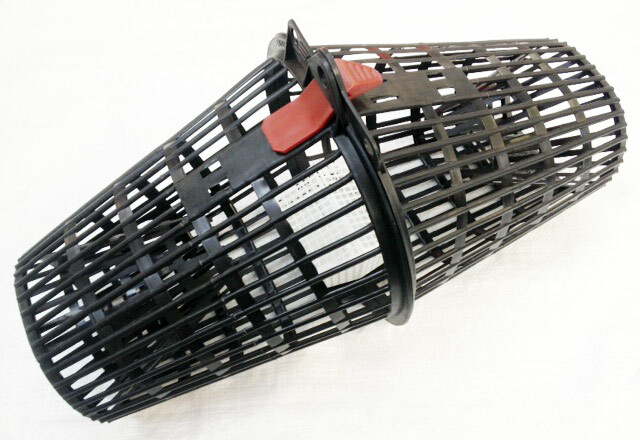 Potting accessories – Components and associated equipment for fishing pots. For marking crab pots. 12mm Twisted polysteel rope. 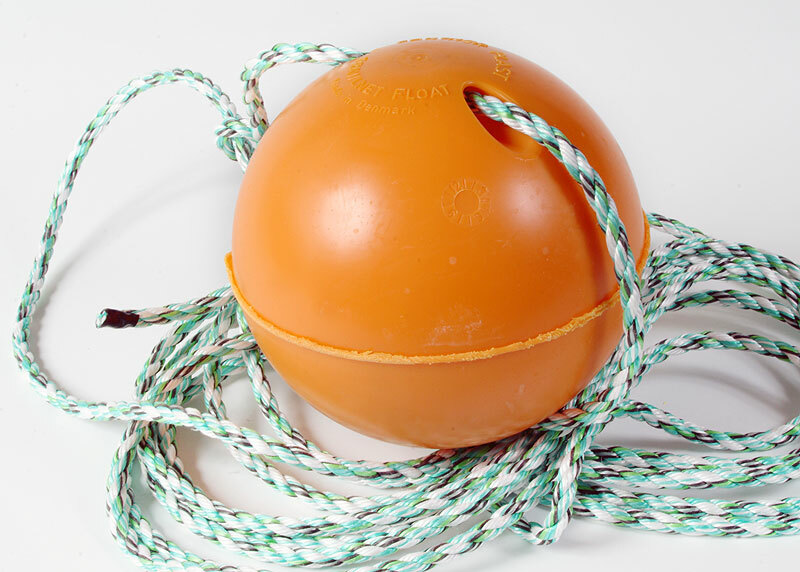 8″ Hard Plastic Float. 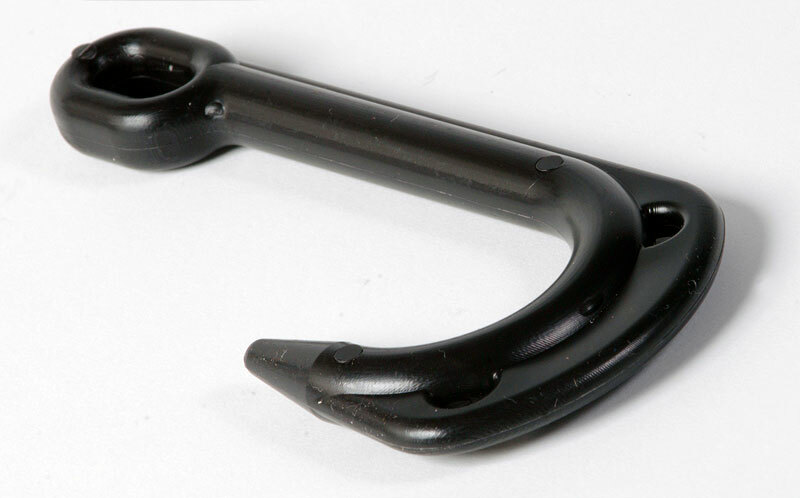 Large hard plastic hook for closing doors on crab pots. Small for small creels and prawn creels. 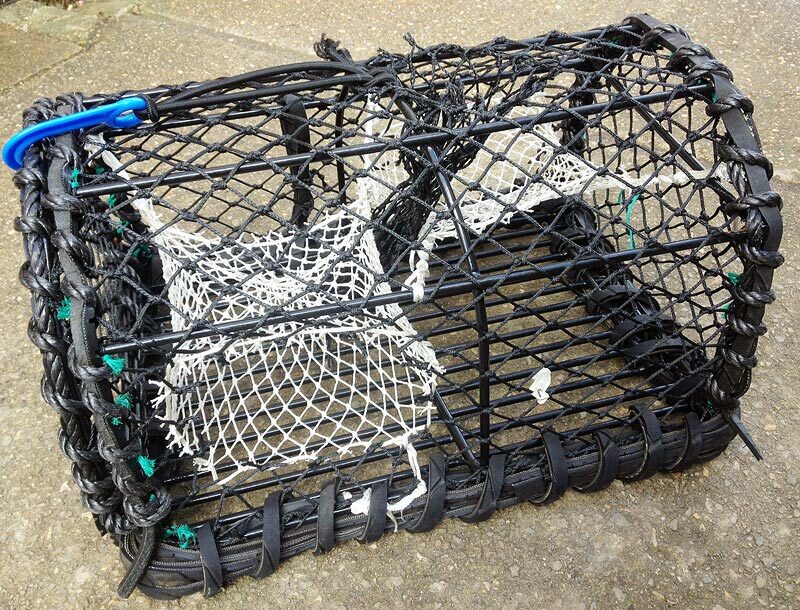 Netting for covering crab pots. All Bales 1000 meshes wide. Available in 3 different depths. 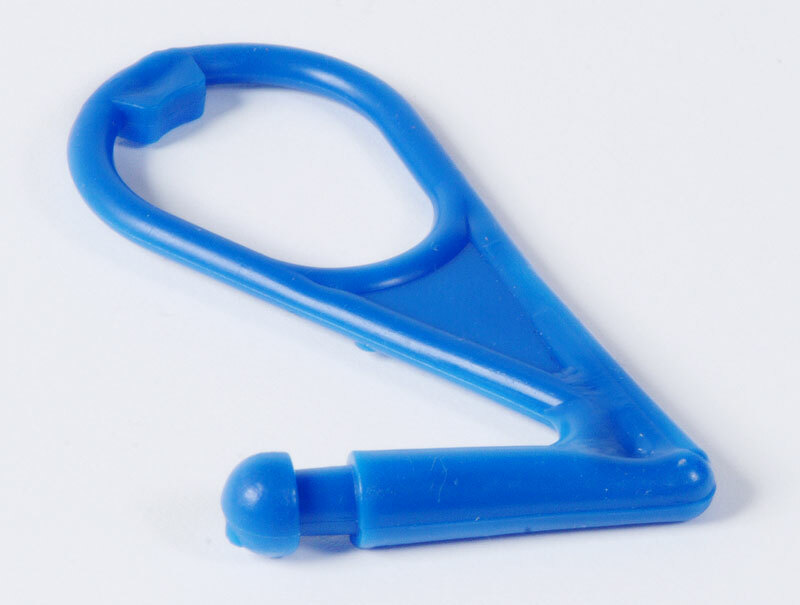 Supplied with replaceable nylon sheave.